Great images are a key factor in giving your online content impact. Read on for our guide to the best websites for free to use images. Marketers are increasingly valuing the contribution visual content can make, with a recent study by free infographic maker, Venngage finding that 53% of marketers used visual content in 91%-100% of all content they published in 2016. There was an increase of 130% in the use of visual content between 2015 and 2016. While infographics, graphs, memes and gifs all performed well, the most popular type of visual content was stock photos – with 35% of marketers turning to photo libraries most frequently to add a visual element to their published pieces. If you’re looking for images, but don’t want to commit to a costly subscription, try these sites for good quality royalty-free images. Creative Commons images are ones that have been provided by their creators for copyright free use. Searching for Creative Commons images has until recently required you to go to the Creative Commons website to get access to search services providing Creative Commons images, or to use a search filter on Flickr or Google Images. 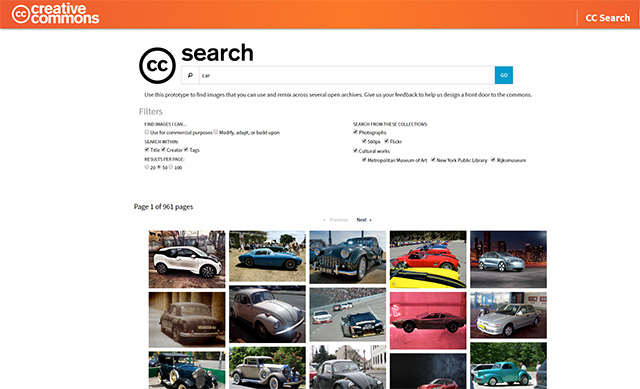 As of February, Creative Commons has upgraded its service to include a more streamlined search portal, making it much easier to find copyright free images from a single search and single location. Simply tell the engine the type of image you’re looking for and tick the commercial use box. All available images are displayed on a search results page in a tile format for easy browsing and download. NegativeSpace is a community of photographers who want to share their work, so the range of images available is wide, with many different styles. Pictures are organized into categories, such as architecture, animals, black and white, landscapes, food and people. Some categories may only have a dozen or so pictures to choose from but all are great quality, high-res and copyright free. This is a great resource if you’re looking for an eye-catching image for a blog or social media post, with a professional finish and are struggling to find something compelling elsewhere. 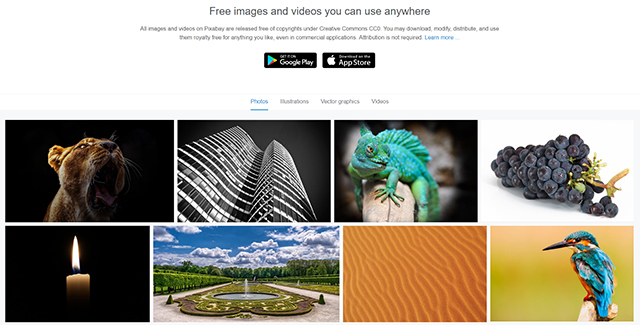 With almost one million stock photos, vectors and art illustrations to choose from, not to mention videos, which can all be downloaded, modified, distributed and used royalty free, Pixabay is an excellent free image source. There’s a handy search engine too, making it easy to find very specific images. Great for all types of blog and social media content themes. Pexels collates free stock photos, with 100 new images added each day. Pictures can be downloaded and used without attribution. You can search for a specific topic, such as business, or browse the most popular downloads. Images can be downloaded in a range of sizes (small, medium, large, original and custom) and similar images are also suggested. This is a useful resource, with plenty of choice and a wide style of photos presented. The pre-sized image download is a very handy feature and a time-saver if you’re in a hurry and need a blog or social media image at the last minute. Death to Stock Photo has both a free and paid service. You can sign up for free to receive new images direct to your inbox each month or, join the premium service for full access to more than 1500 copyright free images. Pictures are sorted into packs, such as Wild Imagination and Tactile, to help you find a picture to suit your content theme. While this one isn’t one you’d turn to if you were in a tight spot, due to the limited images available, it’s an excellent way to build up your own library of images to call on over time. Subscribe then set up a folder on your computer or in the cloud to keep the free monthly pictures handy for use at a later date. 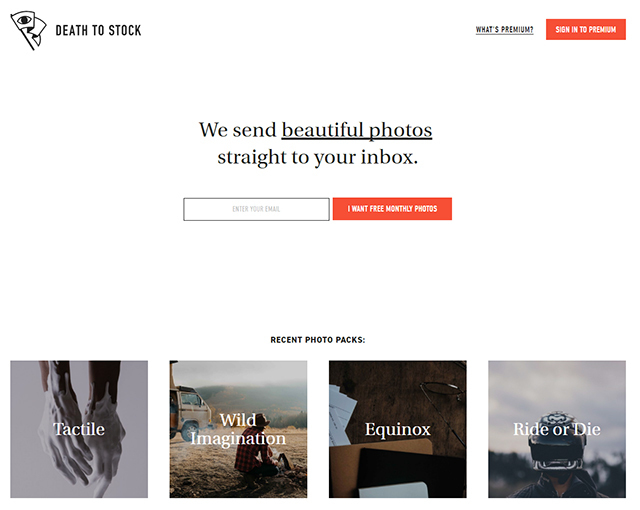 Startup Stock Photos was initially launched as a creative outlet for the founders’ surplus photos. 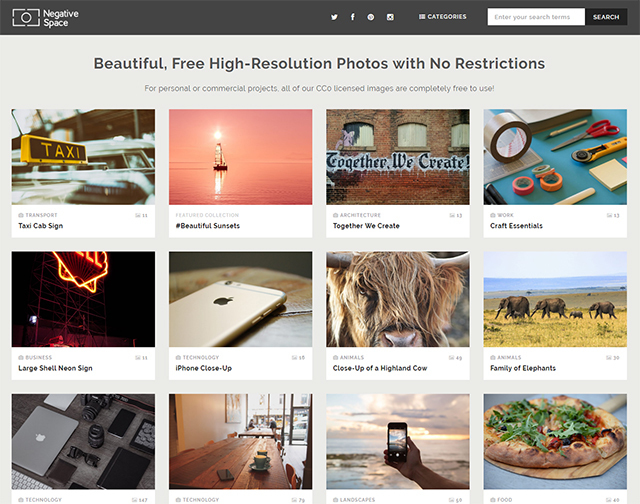 Today it also hosts copyright free images from creatives around the world. The site’s mantra is to provide free photos for startups, bloggers, publishers, websites, designers, developers, creators, & everyone else. Images are presented as a stream and there’s often a series of images from different angles and at different moments. There’s no search so this isn’t the best choice if you are looking for a very specific type of photos but if you’re looking for inspiration it’s well worth a browse. 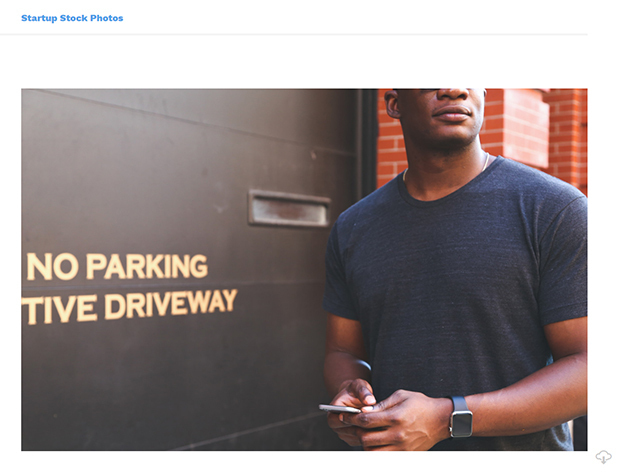 7.https://unsplash.com – stock images organized into collections for super easy curation. 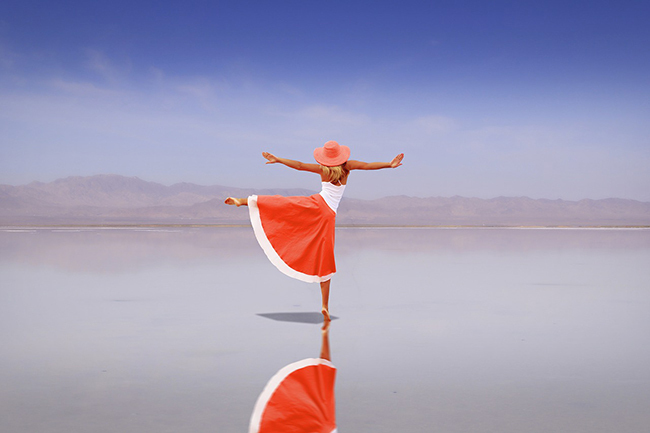 8.http://gratisography.com – whimsical and fun images from photographer Ryan McGuire. 9.https://picjumbo.com – high res images for free download. Lots of great food and business flat lays. 10. http://www.freeimages.com – almost 390,000 searchable photos and illustrations sorted into categories. 11. pikwizard.com – over 100,000 searchable images sorted into categories, specialising in shots of people. If you’re in any doubt about permissions or attribution, check the license information published on your chosen photo site before use.